So sneaky. I wouldn't expect anything less shady from Hilton. It's on mine too. My God! The bloggers will have a heyday on this once they pick it up. 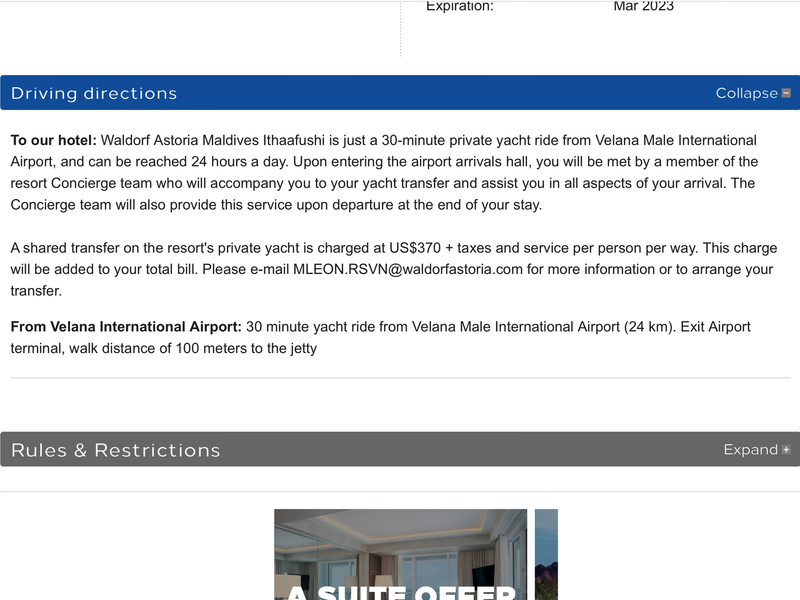 Please don´t compare it to the costs of a speedboat with 2x 200 HP Outboard motors, that other Hotels in the Maldives use. If it's just a 30 minute ride, I think I'd be fine with the smaller speedboat. 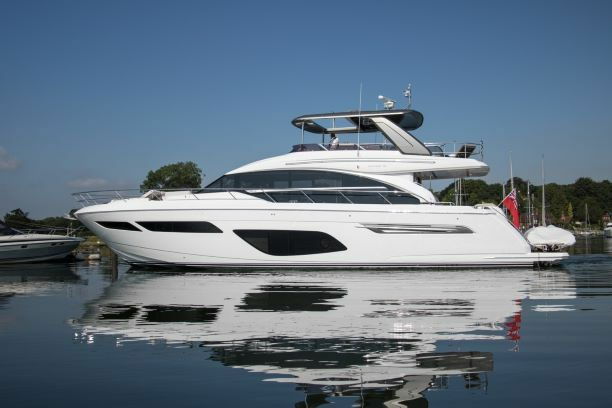 Are there boat operators in the area who are for-hire like a water taxi, or bookable ahead of time as a charter? In other words, do you have to use the hotel's boat? I get that some people will like the smoother ride of a 70-footer, but in most parts of the world where something like this is part of the local transportation, there are different options. I checked my reservation on Hilton.com and it changed the wording to "per way" as well. I printed off my reservation using the previous wording before it changed. I called the Diamond desk and she just said I would have to talk to the hotel. Not much help or information. Plenty of boat operators out of Male; question is will WA allow private boat operators to dock? "Thank you for the email and bringing this to our attention, The change was initiated from our end before us accepting reservations, however this has not reflected on the booking system. Please note that we will at all times, honor the booking confirmation and in this case as well, we will be charging you US$370++ per person for roundtrip. Kind accept our apologies for the inconvenience." Gotta love 'em! So everyone book quick before they realise!! RE the troll... don't give him/her the time of day. I appreciate the help and information this community has provided and has gotten me even more excited for what will be a genuine 'once in a lifetime trip' for our honeymoon and one I am RIDICULOUSLY excited for! We're all going for different reasons and have different stories, let's respect them hey. Just to bring this back up, if they edited the actual reservation then I hope you all have a PDF or Screen shot! If my math is wrong, please correct me. Let's assume an average occupancy of 70%, which is about 85 rooms occupied a day. Let's assume 7 night stays, that's 4420 arrivals each year. 2 people per room that's almost 3.3 million dollars in revenue for a $370 RT yacht cost. So here is a question I have. Do we know what the "yacht" will be? 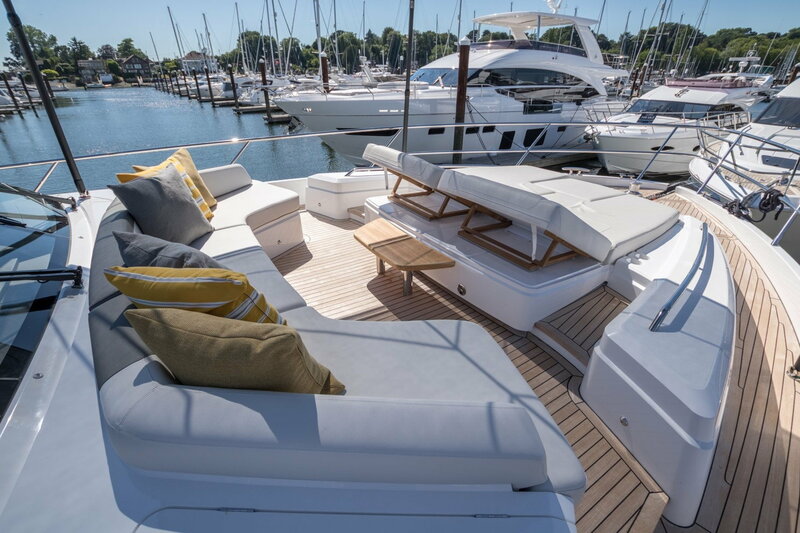 If it is truly a yacht and they serve food and drinks with perhaps some entertainment, the cost is still high, but could be part of the overall experience of a great trip. Much like I justify the high cost of the short flight. 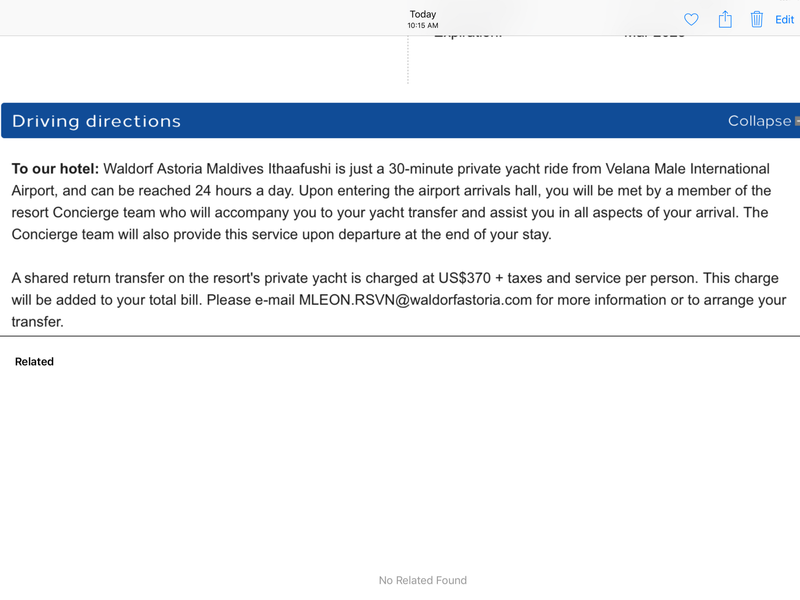 I have not been to the Maldives, yet, but have taken many small "puddle jumpers" at extortionist rates. I just roll the cost in to the whole adventure. 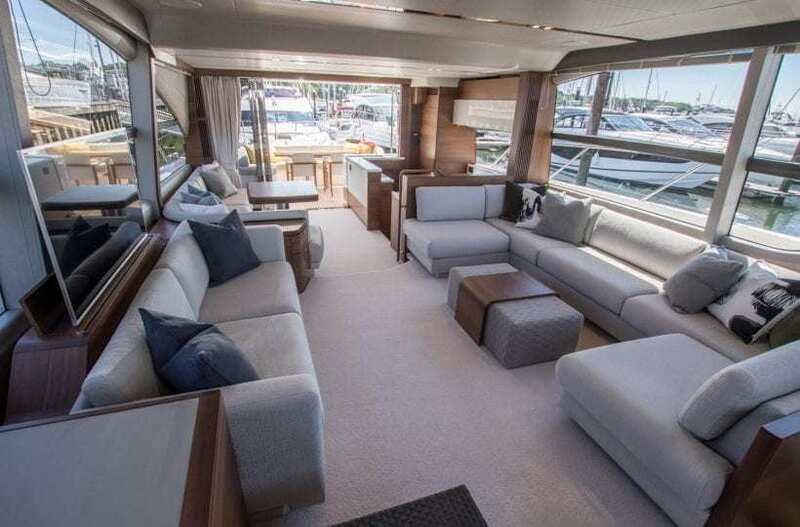 But if yacht is just a fancy word for a glorified people transfer boat, like the one they use at the Conrad Bora Bora or IHG Tahlasso, then experience/cost has a different perspective for me. Screen capture your Hilton App under your reservation displaying this hotel name through - "Benefits" tab with the language "A daily complimentary breakfast in the hotel's designated restaurant for you and up to one additional guest........." before they modify that too. It took me nearly an hour on my pc to realize that I saw this yesterday only on the app. I'm not contacting the hotel about this. I'll raise it on check out. Then dispute with Amex. I'd suggest others do the same. FlugE, brodielayne and sambo150 like this.